Palden Lhamo is the only female of the Tibetan Buddhist pantheon of dharmapalas. 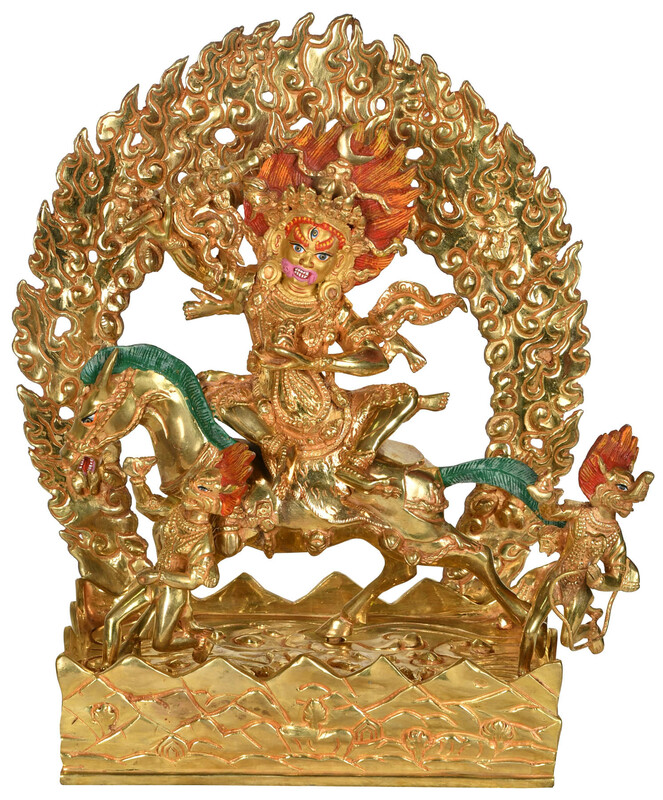 Very much a Bodhisattva, She employs her ferocity and wrath to fulfill Her role as protectoress of lamas and Buddhists. Add this unusual, pure gold-gilded copper sculpture to your space to bring about a divine reassurance of safety and well-being.